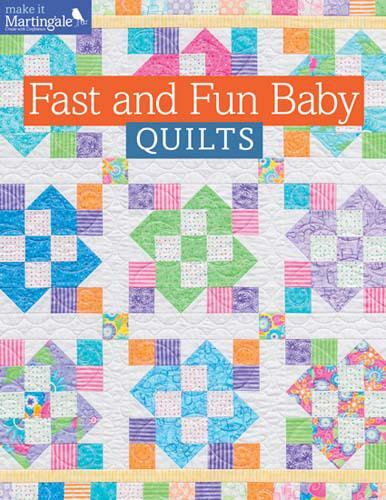 These quilts have fun written all over them Whether Baby is a girl or a boy, you'll find the ideal quilt in these adorable designs ranging from "Sweet Rosebuds" to "Big Boy Blue." Choose from 9 delightfully versatile patterns. Use lots of bright colors, choose delicate hues, or feature novelty prints and always have exactly the right gift. 32 Pages.